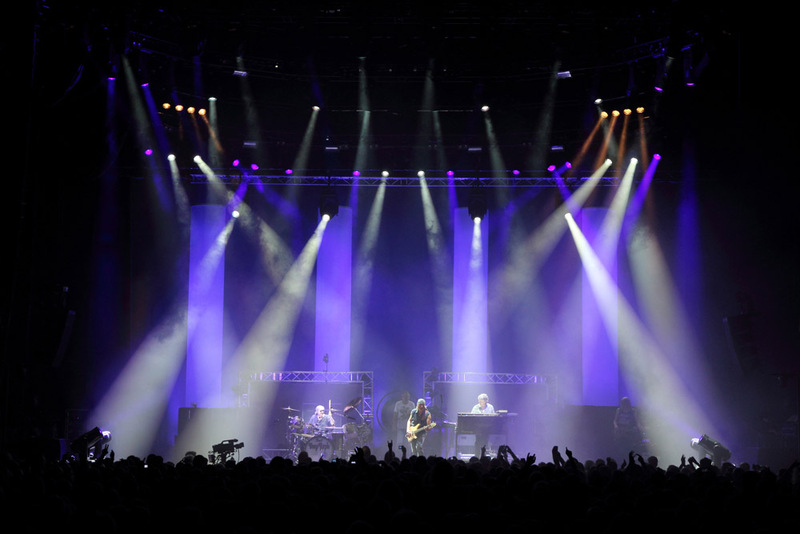 Deep Purple lighting designer Louis Ball has just given Martin Professional’s new MAC III AirFX lighting fixture a thorough workout on the definitive rock band‘s November / December arena outing across Europe. And a classic rock 'n' roll show it is, complete with guitar and drum solos and row of on-stage Marshall amps. Once recognized by The Guinness Book of World Records as „the globe’s loudest band,“ Deep Purple can still put on a powerful, energy-filled show, and that goes for the lighting rig as well. Deep Purple’s latest tour may not be as ear-splittingly loud as year’s past thanks to sound exposure limits but there are no limits on how bright or active a lighting rig can be. And Louis takes full advantage. TDA has delivered the full production for Deep Purple for the last 10 years. After receiving a shipment of MAC III AirFX fixtures on November 5th, they were able to supply them in time for Deep Purple‘s first European show on November 8th. Louis, who has been with Deep Purple since 1984, wasn’t shy about putting the fixture‘s through their paces with a trim height of 10 meters gaving ample room to see what the fixtures could do. Twenty-four MAC III AirFX were paired with MAC III Profiles across an upstage, midstage and downstage truss with one AirFX on each side of the downstage floor used as side light. The fixture‘s versatility as a beam, mid-air effect or wash luminaire was clearly evident. Louis used the full spectrum of color from the AirFX’s CMY color mixing system and 7-slot color wheel, coupled with the fixure’s 10-47° linear zoom, for a variety of wash and beam looks throughout the show while filling the air with aerial effects. He also turned them upstage for gobo projection, including custom Deep Purple gobos, onto a back curtain. As a new element as of the November 26th Berlin show, Louis also used them to decorate a front kabuki curtain prior to the show’s start. Besides the MAC III AirFX and MAC III Profiles, 18 Martin MAC Aura wash lights were used to illuminate four upstage columns with additional fixtures in an upstage rig and on the floor lighting the back curtain. Deep Purple plans to release a new album in 2013 followed by a world tour.